Rita, Emanuela & Christina, Just wanted to say a huge thank you for everything you did regarding our wedding. From the first e-mail correspondence we had I knew we'd made the correct choice. Planning from the UK you made it so easy for us. Every picture we sent and the ideas we shared you went above & beyond to ensure we had everything we'd hoped for. Nothing was to much trouble for you and you truly made our wedding extra special. We can't thank you enough! All of our guestscommented that it was the best wedding that they'd ever been to. 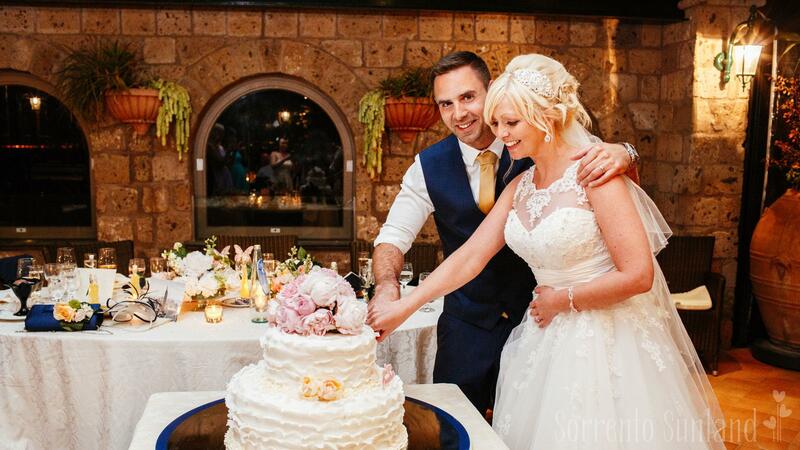 It's hard getting married abroad as you do have worries about things going wrong but I can honestly say to anyone thinking of getting married abroad not only is Sorrento such a beautiful romantic place you also would have the best wedding planners through these three lovely ladies. I'd recommend them to anyone. Thank you again for everything you did. We'll be back to Sorrento one day and will make sure we say Hi.